KFC Malaysia adds a delicious twist to your day with the all-new signature KFC Twister. 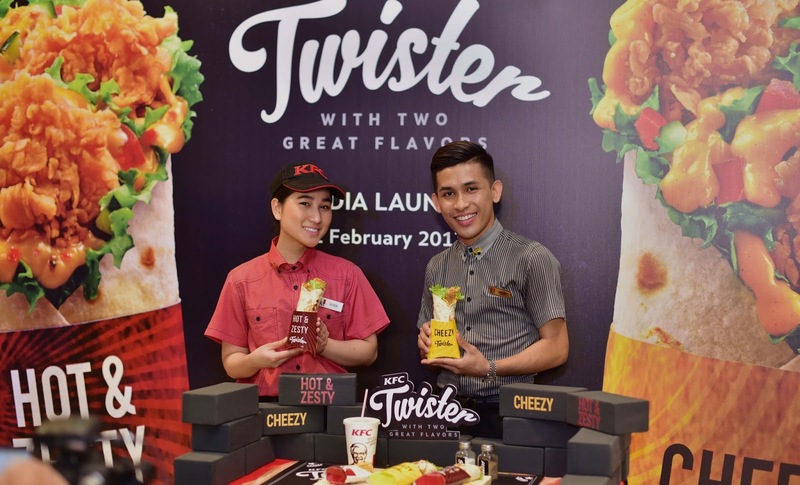 The launch was held today at Pavilion Elite and introduced a choice of two distinct flavours, the Hot & Zesty Twister and the Cheezy Twister from only RM6.50 each. Made fresh in stores, the KFC Twister is packed with crunchy Zinger strips, crisp lettuce, fresh cucumbers and tomatoes, all wrapped in a toasted tortilla. With a choice of special chili-lime sauce in the Hot & Zesty Twister, or creamy jalapeño cheese and mayo in the Cheezy Twister, both KFC Twisters offer a refreshing new twist to your daily fare. “Our fans have spoken and the KFC Twister is back by popular demand. This product delivers 100% authentic, signature KFC flavors in a portable format that can be enjoyed on-the-go.” said Angelina Villanueva, Senior General Manager, KFC Marketing. “Fans will be hard-pressed to choose between the two popular flavours: Hot & Zesty Twister that features spicy and lime hints, and the Cheezy Twister with the unmistakable KFC signature cheese. That’s why we also offer a Double Twister Combo for those who want both Twisters,” she added. 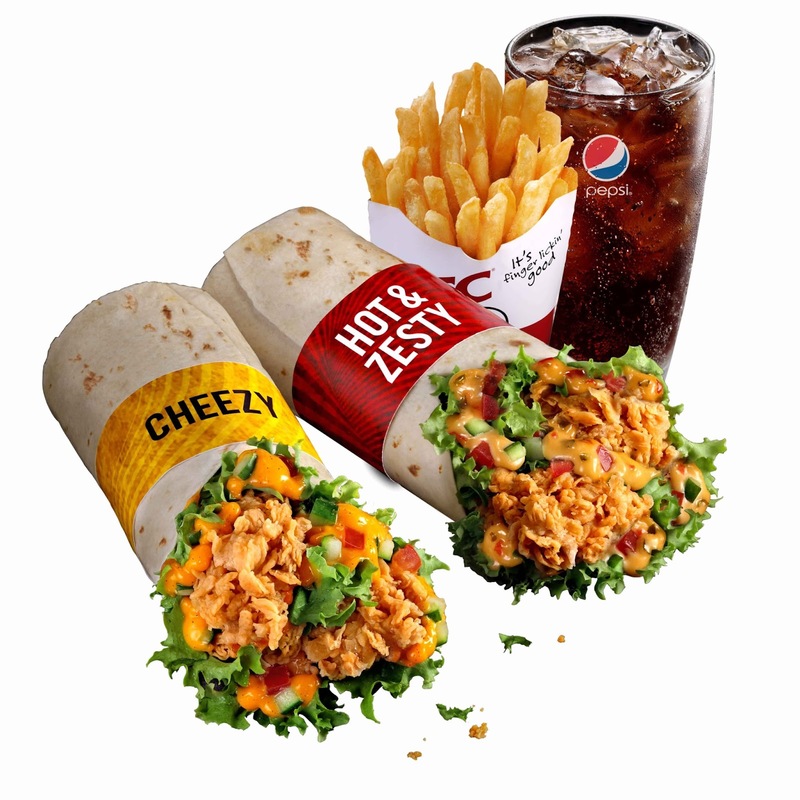 The KFC Twister is available ala carte or in combo meals. The basic Twister Combo offers a choice of either Hot & Zesty Twister or the Cheezy Twister, while the Double Twister Combo offers both Twisters, so you can have it all. All combo meals come with KFC Crispier Fries and a carbonated drink.